Brentwood Material Company has been proudly serving the greater St. Louis area since 1987. We are conveniently located on South Brentwood Boulevard about 2 miles south of The Galleria and the intersection of I-64 and 170 ( 0.25m south of Manchester Road). It is our goal to educate you about current landscaping and building trends, and help you make decisions that best suit your needs. 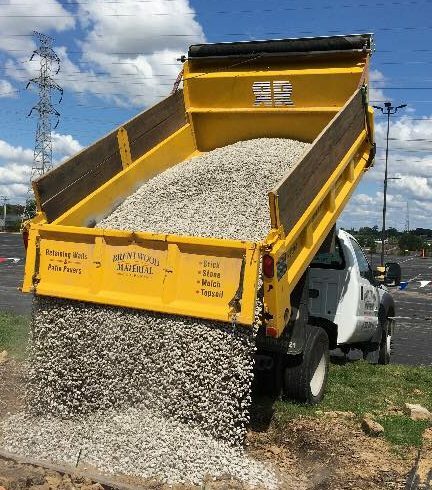 Whether you are preparing for your semi-annual yard work and need mulch or topsoil, or you are remodeling your backyard, patio, or interior, Brentwood Material has the products that you need in order to make your dreams a reality. Outstanding customer service is our top priority. Need something delivered? Click the button below for a free, no obligation estimate for your material and delivery costs. Do you need help with your landscape project, or have questions about what you need to order? Click the button below to ask a question via email.